The days when businesses were in the market solely for the profits are long gone. Right now, as CSR practices are being integrated into every establishment’s business plan, maintaining a degree of environmental sustainability is a necessity. Businesses are no longer just about raking in the moolah anymore, in fact, they have an added responsibility to serve the communities and the ecosystem they are a part of. Implementing sustainability measures isn’t just good for the environment either, doing so directly impacts the profit margins of a company. A study published on greenbiz.com suggests that global companies like Johnson & Johnson are now allocating over $40 million a year to reduce the green house gas emmisions. This move by the company has also been lauded by customers and competitors alike, which has increased their goodwill in the market. But, doing this hasn’t been easy for Johnson and Johnson; they have had to build a robust infrastructure to help achieve their CSR goals. This poses the question- how exactly did Johnson & Johnson interlink sustainability to their long-term business plans? And how can a normal business pull this off? Well, that’s what you are going to find out here. Here are a few enlightening lessons every company must learn about making their business environmentally sustainable. Rome wasn’t built in a day. Along the same lines, environmental sustainability measures can’t be conjured up within a narrow timeline. In fact, to make your business more sustainable, you need to come up with operations that focus on sustainability. For starters, you can support those policies that limit things which deteriorate the environment like greenhouse gas emissions and the like. This could ultimately help you contribute to the daunting task of fighting climate change, and can even be considered when you're making policy decisions. One of the major hurdles for both business and the protection of the environment is the generation of waste as a result of regular business operations. Disposing off this waste is usually expensive, and hazardous. In a time when generating unnecessary waste is considered a measure of inefficiency, the introduction of an effective system to reduce waste is absolutely necessary. A number of businesses are already working on a zero-waste policy for their operations. Take the case of Shree Cement, one of the largest cement manufacturers in North India, who have been turning thermal waste into energy. Through its Waste Heat Recovery (WHR) project, the cement manufacturer has been using the thermal heat generated during its processes to fuel their operations while selling the excess to the local electricity boards. There is enough evidence on the abundance of renewable resources in India like solar, wind, and thermal energy among others. This can also reduce the reliance on fossil fuels and in turn spur a dramatic reduction in the emission of greenhouse gases and other pollutants. While solar and wind turbine technologies aren’t that popular in India yet, they are increasingly becoming more and more efficient these days. A good example would be Gujarat’s Solar Park which generates over 1,000 MW worth of power while reducing 8 million tonnes of CO2 emissions. Although, the initial costs could be on the higher side, it can certainly help with the sustainability mission and can balance out costs in the long run. 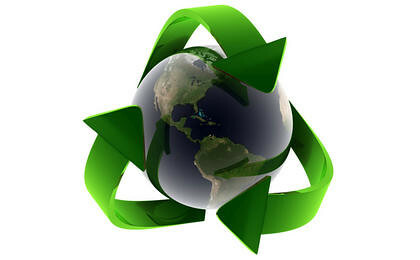 One of the best ways to become environmentally sustainable would be to buy and encourage the purchase of green products. Make green procurement a priority by identifying green products and purchasing those products and services. The more green products you buy, the more you increase their demand in the market. The uplifting news is that a majority of these ideas have been implemented by a number of businesses all over the country. However, the numbers aren’t enough to impact the environment on a global scale. Perhaps the best thing to do is to start the trend and lead by example.